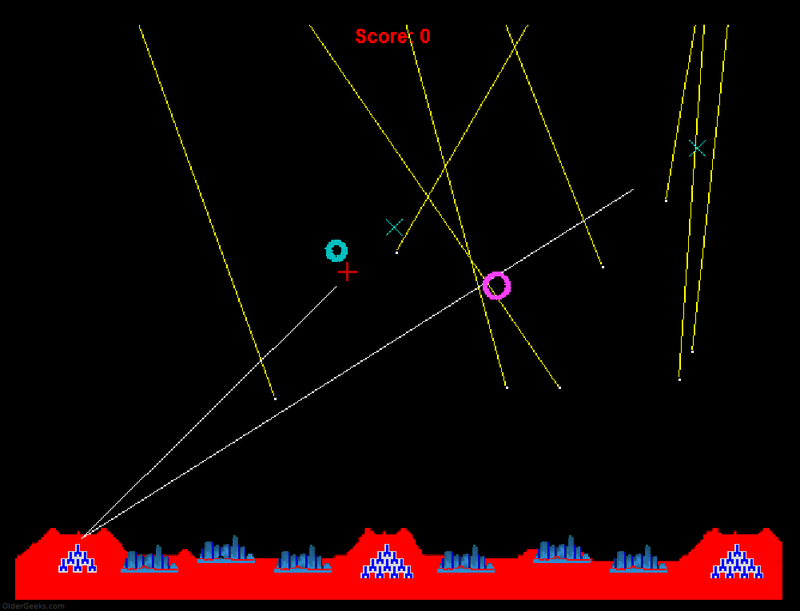 A remake of the classic Atari game, Missile Command. Save the cities and silos from the constant ballistic missiles, watch out these missiles may split in to more missiles. On level two onward planes and satalites may appear which also drop missiles. Look out for smart bombs these can only be destroyed if hit directly in the centre otherwise they will move away from an explosion nearbye . Use the mouse to aim your missile press left /right /center arrow keys to fire from respective base. 994 2,784 Crozza Remakes <img src="https://www.oldergeeks.com/downloads/gallery/thumbs/Missile Command1_th.png"border="0"> Feb 12, 2019 - 12:15 1.0 2.13MB ZIP , out of 3 Votes.